First canal trip of the Autumn. 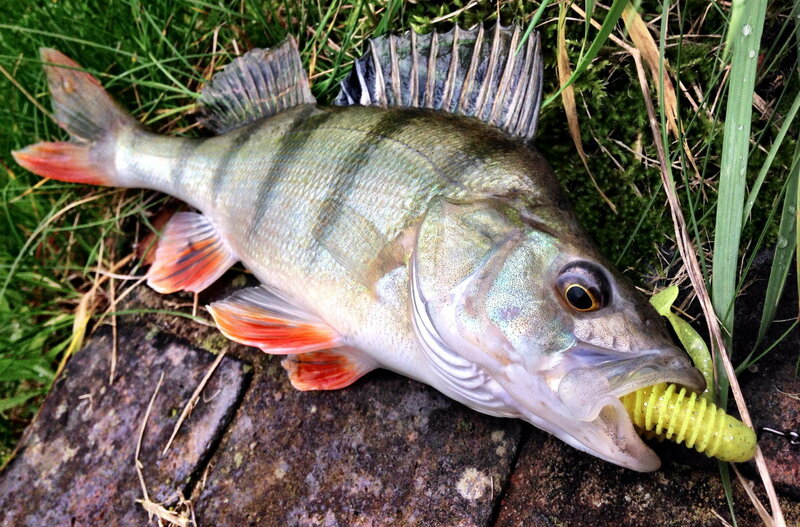 An Izumi Gastronimic Pin Tail fished dropshot caught the biggest fish - a 36cm Perch. There's lots of very small baitfish around so I was also experimenting with various small lures jigged under the shoals I found. 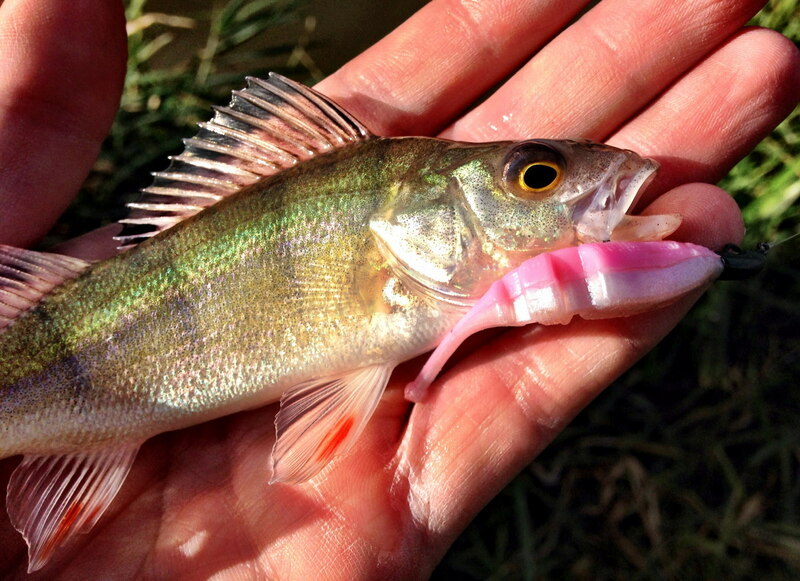 The pink lure pictured here is a Live Baby Shad by Lake Fork Trophy Lures. Question, when drop shotting, do you bounce the lead? Or is it a case of tightening the slack from the lead up through to the rod tip? Keep going with the brilliant blog, has made me purchase a LRF Rod of my own. In answer to your question – both! 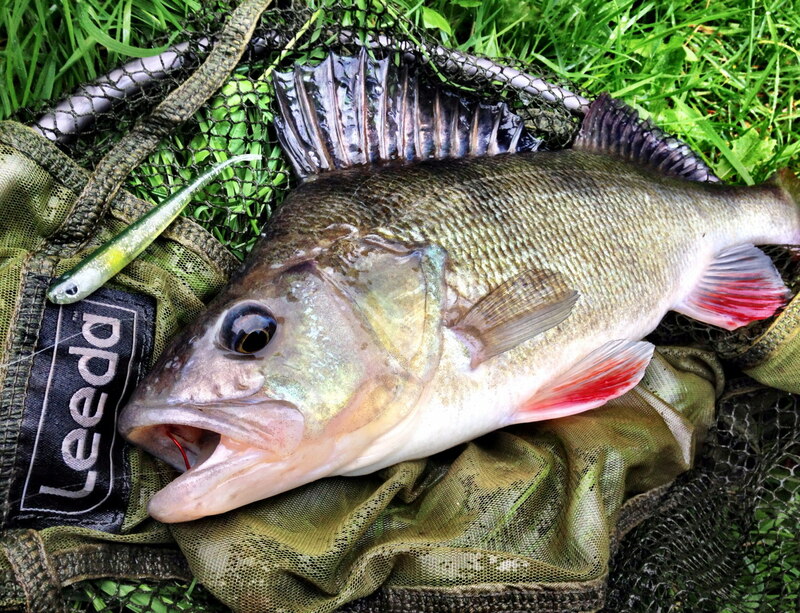 Tapping a lead on the bottom in most angling circumstances (fresh and salt) will gain you interest. Also, a little tip – cylindrical dropshot leads offer you an added, subtle action too as they fall over. So you get a tap-tap action. First tap as lead touches down and a second tap as the lead falls over. You don’t get that with round dropshot leads. Also, I like to fish the slack. With weight on the bottom, you can flick the lure up (by as much as the distance between your hook and lead) and let it fall weightlessly back down. 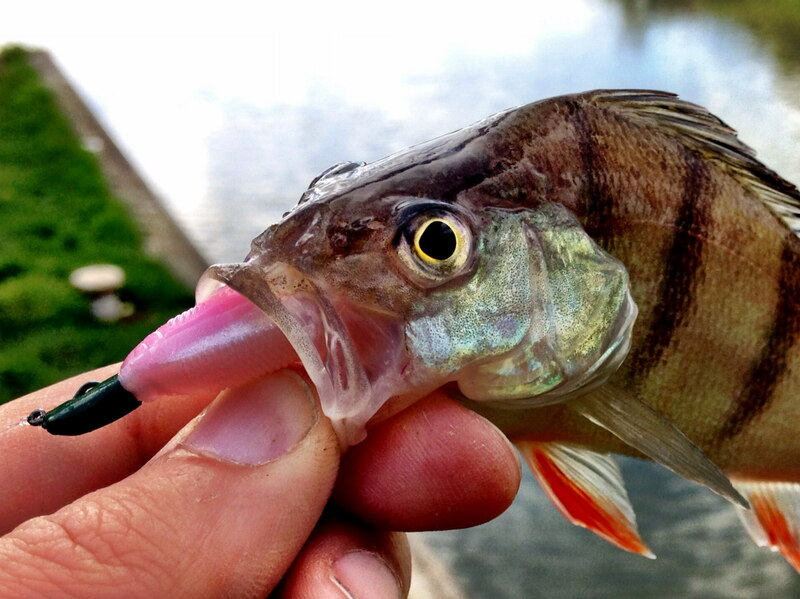 Don’t be afraid to let your lure sit motionless on the bottom for a period. Just be ready to strike!